A look into draft hopefuls who raised their draft stock. Between the end of the football season and middle of February, there are different mock drafts released which seems like daily giving an idea of where potential players may end up. There are for sure first rounders and there are people who could be first rounders but you never know. 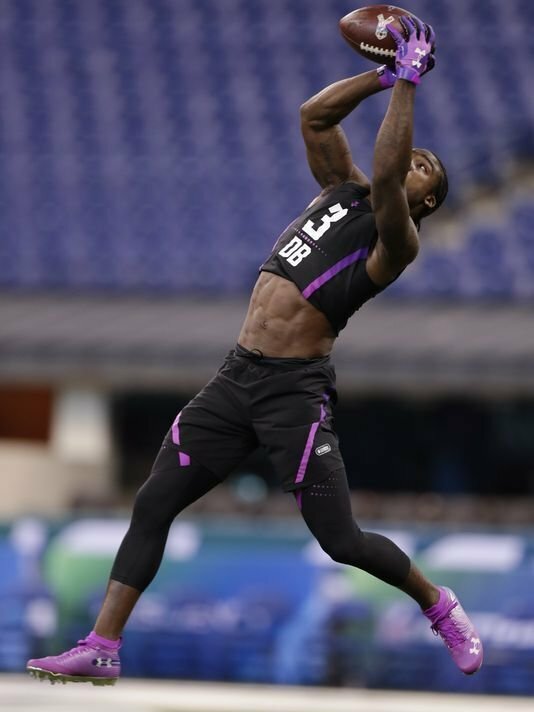 The combine is a way for athletes to show why they deserve to be drafted and for people who are projected to be between the first or second round to provide that extra push to hopefully get drafted at the end of the first round. 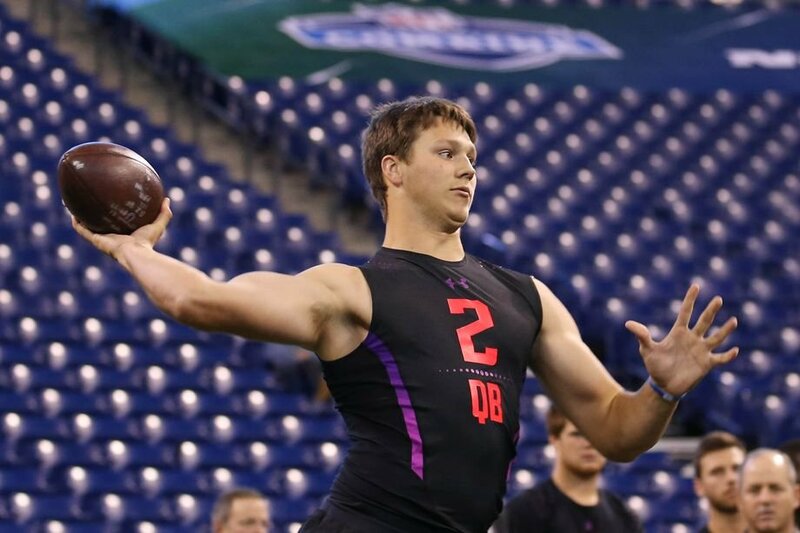 Here are 5 people who helped increase their draft stock after the 2018 NFL Combine. Griffin is one of the best stories in college football, not just because he helped turn UCF’s football program around, but that he had done it with only one hand and was able to play at such a dominant level. Griffin had his left hand amputated as a young child because of amniotic band syndrome, a rare congenital condition that causes excruciating pain. After moving to linebacker in 2016 he recorded 18.5 sacks over the span of two seasons and was named an All American. 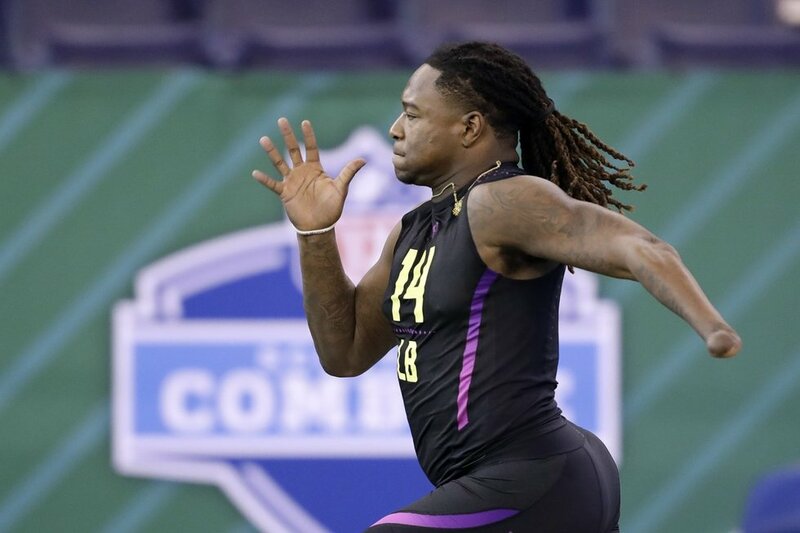 At the combine, Griffin showed an insane performance by running 4.38 40-yard dash, which is the best time any linebacker since 2006 and did 20 bench press reps. Griffin was a top performer in the bench press and the broad jump and as of right now is projected to go in the 5th or 6th round. 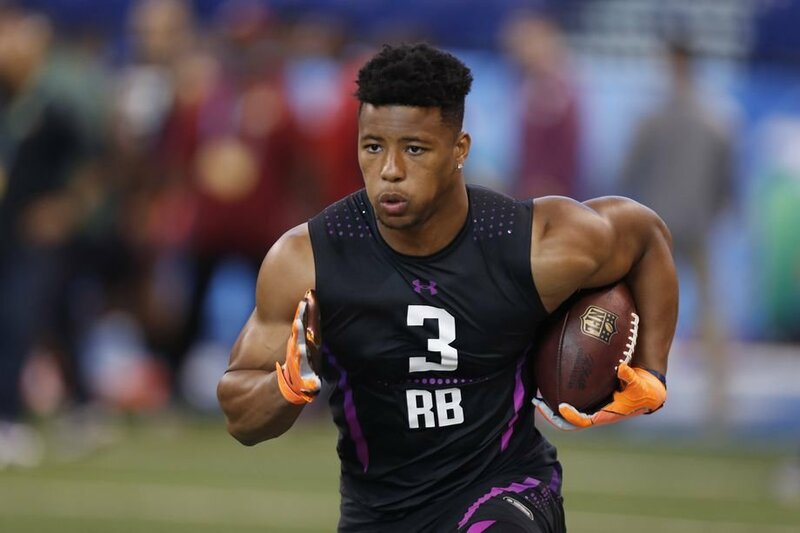 While mock drafts already had Barkley as a top draft prospect the success of his combine has pushed him as high as the number 1 pick in the draft. Barkley did more reps on the bench press than Joe Thomas, ran a faster ten-yard split than DeSean Jackson, a faster 40-yard dash than Devin Hester and a higher vertical jump than Julio Jones. What do the athletes he beat all have in common? All were/are pro bowlers and all pro players and Barkley is hoping to add his name to that list. Barkley is a game changer and any team that gets him can either build around him or find a way to implement him into the offense. 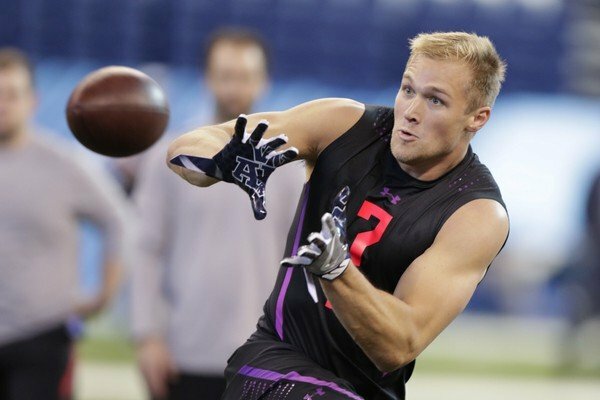 While being overshadowed by Hayden Hurst and Mark Andrews who scouts are confident will play on Sundays behind them is Mike Gesicki of Penn State. Gesicki is the same height as All-Pro Rob Gronkowski and is only about ten pounds lighter but that will change in the NFL. 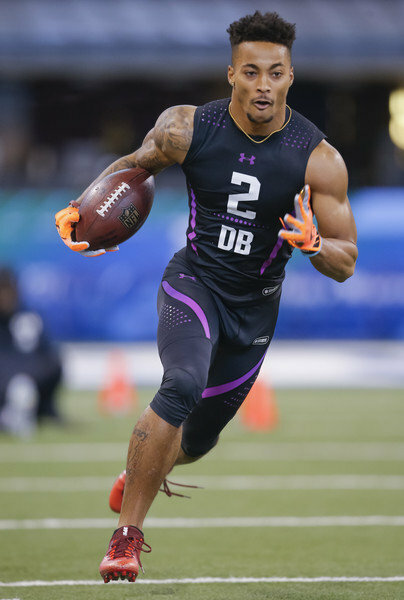 While he is projected as a second-round pick he is somewhat undervalued because he isn’t the typical blocking tight end but posting the best vertical and broad jump for tight ends and running a 4.55 (8 seconds behind potential first rounder Minkah Fitzpatrick) could potentially make him the first tight end drafted. You didn’t think I would leave out Alabama players, did you? Both Brown and Averett were overshadowed by 1st rounder Marlon Humphrey and potential 1st rounder Minkah Fitzpatrick but let’s not forget that these two are pretty talented as well. Brown ran a 4.35 in the 40 and Averett ran a 4.36 which is actually fasterr than Fitzpatrick. Both tested very well and with the scheme Alabama runs it will benefit both of these two players depending on where they end up. In a very rich quarterback class with two Heisman trophy winners, the one that could stick out the most is the quarterback from Wyoming. Similar in the case of Carson Wentz two years ago Josh Allen had a very impressive combine and put up very impressive stats his last two years of college. Todd McShay believes Allen will defy odds when he comes into the league even though he posted a 56% completion rate in college. In a heavy quarterback draft, I don’t believe he will be the first one off the board but I do believe he is a first-round talent and whether you want him to learn the position or name him the starter from day 1 he could see some success in the NFL. While there are prospects who did not do as well at the combine they have one more opportunity to showcase their abilities at their college pro day. The amount of hard work put in will be on full display and every prospect needs to be prepared by the draft. Whether you are drafted in the first round or the fifth round you are still accomplishing a dream and that is huge.